The BC Junior A Lacrosse League and Langley Events Centre are proud to announce that the prestigious Minto Cup will be returning to the LEC from August 15 to 26, 2019. The Minto Cup features the top Junior ‘A’ teams from B.C., Alberta and Ontario and will be back in Langley for the first time since the Coquitlam Adanacs took home the title in 2016, and third time overall. The Adanacs will also be defending the title they won in August 2018 in Alberta by defeating Ontario’s Brampton Excelsiors in four games. This is the third time the competition will be held at Langley Events Centre, having previously been staged in 2014 and 2016. The Langley Thunder organization will be partnering with Langley Events Centre to host the 2019 Minto Cup on behalf of the BCJALL. “We would like to thank the BCJALL Board of Governors for this opportunity as we look forward to welcoming the Canadian lacrosse community to Langley for what is sure to be a first-class event,” said Ken Buchan, the President of the Langley Junior Thunder. Four clubs will compete for the ultimate prize in Junior ‘A’ lacrosse; the historic Minto Cup was officially designated the national championship in 1937. 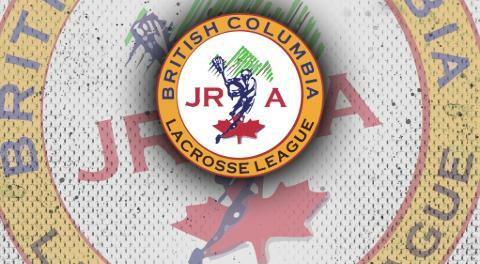 The BCJALL will receive two berths in the Minto Cup - one for the Provincial Champions and one for the runner-up. Following a press conference and meetings on August 15, the four teams will compete in round-robin play August 16 to 18. The first-place team will advance directly to the best-of-five championship series, while the second and third-place teams will face-off on August 19. The championship series begins on August 21. With the continual development of the Rocky Mountain Lacrosse League, which features teams from Alberta and Saskatchewan, and the always tough Ontario champions, the 2019 Minto Cup promises to be one of the most competitive in recent memory.